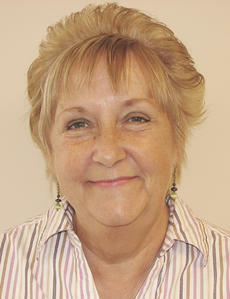 Unemployed Grant Countians now have a new service available to help them find a job. A new One Stop Northern Kentucky satellite office opened March 7 in Grant County to provide free, on-site, employment services. The office, located at room 305 on the third floor of the Grant County Courthouse in Williamstown, will be open from 9 a.m. to 4 p.m. Monday, Tuesday and Wednesday. Nearly two dozen property owners filed a lawsuit against the City of Williamstown on March 3 because of improper water treatment and removal of sludge. Also in question is the water quality for the lake, which provides much of the drinking water for Grant County. “Recently there has been discussion and reports amongst the community that the water in the lake may be unsafe to drink as a result of the treatment plant deposits,’ the lawsuit reads. Williamstown Mayor Rick Skinner said the city tests the water from the lake daily. The Grant County Public Library is reaching out to the community beyond the walls of its Williamstown facility. Two new programs allow readers to get books to read without even stepping foot inside the library. The Outreach Homebound service is available to any residents of Grant County who have physical limitations or an illness that prevents them from traveling to the library. 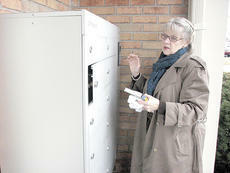 Residents of Williamstown might cool down after city council approved a 5 percent cap on the city’s utility surcharge. Surcharges on residents’ utility bills, which started showing up in 2009, happened when consumers actually used less power than the city contracted to purchase and the surplus was sold back on the open market. If the city paid $60 per megawatt hour, but the same hour sold for $40 on the open market, the cost difference falls back to the utility customer. 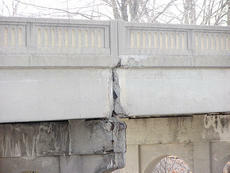 The bridge on U.S. 25 in Williamstown is now closed. The bridge officially closed after morning traffic on March 1 and the closing doesn’t sit well with Williamstown Mayor Rick Skinner. “It’s very disappointing that it didn’t work out and I hope it’s not a huge inconvenience for the traffic flow,” Skinner said. Skinner asked the state to reconsider closing the bridge and keeping it at least open to cars and trucks. Fire Chief Robert Bruin will be leaving Dry Ridge at the end of the month to return home to Scott County. Bruin, who has been head of the Dry Ridge Fire Department for four years, recently submitted his resignation to Mayor Clay Crupper. The Scott County native is leaving to become chief of the Georgetown Fire Department, where he spent 16 years before coming to Grant County. Bruin’s last day will be Feb. 28. 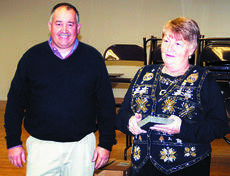 Judy Mullins is being let go 10 years to the day she became executive director of Grant County Tourism and Convention Commission. The commission voted during its Feb. 16 meeting to dissolve the position of executive director March 1 and contract administrative services with the Grant County Chamber of Commerce. The commission will pay the chamber of commerce $1,700 a month for a year. The move will save the tourism commission a little more than $10,000 per year, said commission member Randy Slayback, who made the motion to dissolve the position. Williamstown Mayor Rick Skinner doesn’t want the bridge at the south end of town to close. Kentucky Transportation Cabinet officials said the bridge would close on March 1 due to safety concerns. Skinner has asked the state to reconsider closing the bridge and keeping at least open to cars and trucks. “I know the state considered two options, either to close the bridge or to set a weight limit at 6,000 pounds, but chose to close it,” Skinner said. He contacted state road officials and asked them to change their minds. Grant County will be adding five new sirens to warn the community of impending storms or disasters. The Turn-Key Siren Warning Systems will be located at Williamstown Cemetery, the Dry Ridge Fire Department (replacing an old siren), Grant County High School, near KAO Campground and on the west side of Interstate-75 in Crittenden. The additional weather sirens will bring the total to 12 in Grant County. Several government offices will be closed on Monday, Feb. 21 in observance of the Presidentís Day holiday.